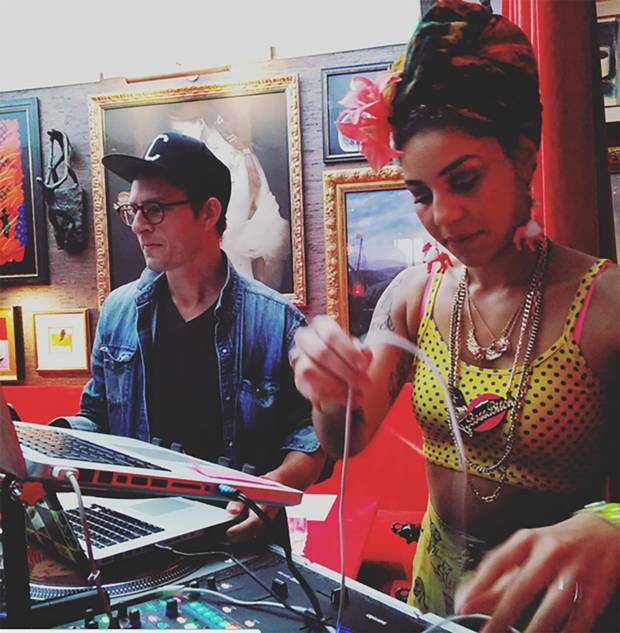 Hotel Vagabond’s Artist in Residence Charlie B Wilder aka DJ Captain Planet wows guests along with singer Joy Villa. In the glamorous gold and crimson lounge at Hotel Vagabond in Singapore, Los Angeles music producer/DJ Charlie Wilder, more familiar with dimly lit underground clubs than luxury hotels, is perched at his mixing board, taking transfixed hotel guests through the ABCs of music production. As the Vagabond's artist-in-residence, he mingles with guests at a nightly cocktail hour in exchange for his meals, a hotel room and a studio space. Meanwhile, 17,000 kilometres away in the midst of Miami's hedonistic and glittery Ocean Drive, Monika Zgustova leads a literary salon discussing her female fictional protagonists at the Betsy, a restored colonial-style hotel with white shutters and French windows. The noted Czech author is one of nearly 300 writers in the past eight years who have enjoyed the solitude (in the company of a multitude of books) of the Writer's Room. Arts programs such as these are taking place at hotels across the globe: A painter in residence at the luxury Eden Rock in St. Barths talks with guests at cocktail events; a resident composer launches an opera for hotel patrons and the community at Corinthia Hotel London; and a writer at Eagles Palace in Greece hosts a nightly salon. Artists taking up residence in creative-friendly hotels is not new. Legacy properties such as New York's storied Chelsea Hotel and London's Savoy have been welcoming artists since the early 1900s. However, these more recent programs keep both artist and guest in mind and boast significantly more luxury than some of the bohemian digs of the past. 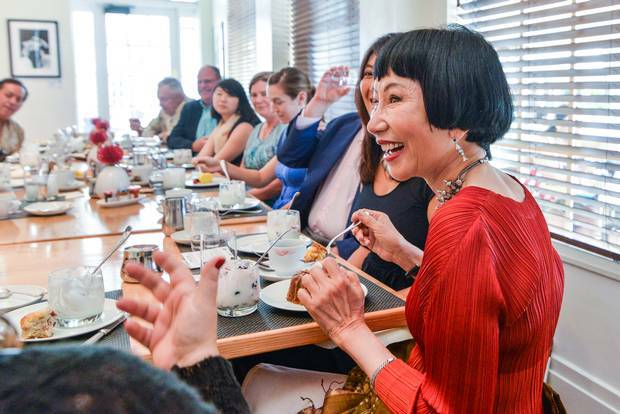 Amy Tan, Artist in Residence at the Betsy, hosts a salon with hotel guests and community members. As hotels seek to attract guests (particularly experience-craving millennials) in an increasingly competitive market, having artist-in-residence programs (along with state-of-the-art technology, high design and grab-and-go food and beverages) is one of the ways to distinguish themselves. It is an initiative that serves a niche, mostly upscale market and is akin to offering a wellness program or a particular sport such as scuba diving. Having an artist on call also dovetails nicely with a couple of major hospitality trends, says Jeff Weinstein, editor of Hotels Magazine. It's what the industry calls the "lobby social," the reinvention of lobbies and lounges as spaces to socialize and congregate – or as, Weinstein puts it, create "a Starbucks on steroids." Having cultural activities and nightly social hours with a hotel's artist in those social spaces is one way to satisfy the Facebook's generation's needs for togetherness, he says. The concept seems to take root most easily at small independent hotels where individual owners have a passion for the arts. At the family-owned Betsy, for example, brother-sister duo Jonathan Plutzik and Deborah Briggs say that having an artist (often a writer) in-house is very personal: They put the desk that belonged to their Pulitzer finalist poet father in their Writer's Room. From the beginning, Briggs says, "we wanted a hotel built around luxury service and the arts and culture." Their first writer was an exiled poet from Zimbabwe. Since then, Briggs says, they have had poets, essayists and novelists stay for five to seven days to "just do what they do." The artist's only obligation is to commit to do one event, a salon or master class for guests and interested members of the community. 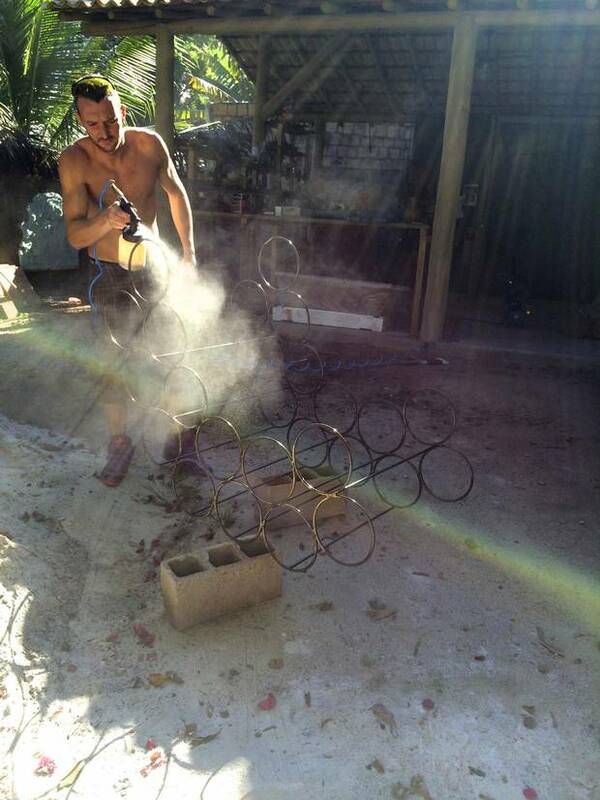 Like the owners of the Betsy, the Matthews family of St. Barths's Eden Rock are art lovers. Initially, their hotel simply hung paintings they owned. That in itself wasn't unusual, as many hotels have art collections. Soon, however, the hotel developed a reputation in the larger art world and, in conjunction with the New York Academy of Art, began a program that welcomed young artists to visit the property and paint in exchange for giving guests art lessons. Nune D’amico won the ‘Blank Canvas’ event at the Moxy Milan. Her mural is now on permanent display at the hotel. Not surprisingly, New York has more than its share of similar programs. The independently owned Quin launched its program when it renamed and reopened the historic Buckingham Hotel, once residence to artists such as painter Georgia O'Keeffe and opera star Giuseppe De Luca. The Quin, with an artistic pedigree and lofty goal of "rekindling" the energy that created salons such as Gertrude Stein's in Paris, has a decidedly contemporary take on the arts, hosting such artists as British graffiti practitioner Pure Evil and Vancouver's improvisational violin sensation Rosemary Siemens. But it is not only small or family-owned hotels that are promoting the concept. Some well-known hotel brands have versions of artist-in-residence programs, often introduced out of a passion for the arts by a local manager or individual board member or as an initiative from the arts community. Programs such as these are interesting ways for brands to differentiate themselves, but "they rarely move the needle" financially, says Steve Carvell of Cornell University's School of Hotel Administration. And that's okay with Joe Khairallah, chief operating officer of Milwaukee-based Marcus Hotels and Resorts. He was instrumental in bringing artists-in-residence to three of the chain's hotels in locations one would not immediately think of as art hubs. "It's not a gimmick," he says of the programs at Milwaukee's Pfister, the Skirvin in Oklahoma City and the Cornhusker in Lincoln, Neb. "We do it for the community. It is something we love." The Marcus brand has offered residences to a diverse group, including a violin maker, a cyber artist and a visual artist who paints with beeswax. All are offered studios in the lobby, a stipend and meals at the hotel in exchange for interacting with guests in a variety of ways, including at a regular chef's table. "We've had guests come back to the hotel the following year and be heartbroken that the artist they met had left," Khairallah says. Dutch designer Wilbert Das was so moved by his visit to the small village of Trancoso, in Brazil’s Bahia state, that he put down roots with the UXUA Casa Hotel & Spa. 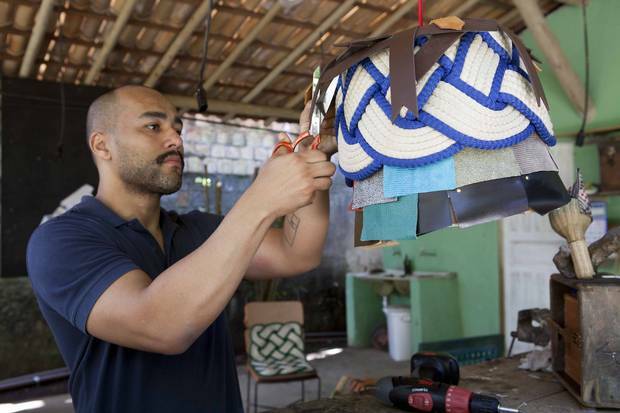 He shares his creative spirit with the designers and artists, like Brazilian artist Lucas Simoes (pictured here). A few of the larger hotel brands have artist-in-residence programs, but those also were initiated locally and not at a corporate level. Fairmont Banff Springs, Fairmont Chateau Whistler and Fairmont Jasper Park Lodge have programs that were started and are run by Wendy Wacko, founder of Mountain Galleries, in partnership with the hotels. Hotel guests at those locations can book half-day "experiences" with the artists and sometimes mingle with them at a cocktail-hour art demonstration. The Malta-based luxury Corinthia Hotels program was initiated by Matthew Dixon, who at the time was general manager of Corinthia Hotel London. The hotel is in the heart of the city's arts district, so he thought that an artist-in-residence program would be a way to nurture up-and-coming talent. Italian furniture-maker Mauro Zolin was also part of the Artist in Casa program, which allows artists to stay and get inspired for a short period of time. Dixon, like the Marcus Hotels' Khairallah, is a self-confessed arts aficionado who "felt it was a way to give back." Earlier this year at Corinthia Hotel London, composer Emily Hall created a brand-new opera and sound installation for guests that was performed nightly for 10 days. Canadian artist Tom Forrestall takes up residence at Corinthia Palace Hotel and Spa in Malta this month. Whether for buzz or passion, such programs seem to be a win-win all around. From the artists' point of view, it's a lucky break and perhaps some time spent not having to worry about rent, says music producer Charlie Wilder, who stayed for two months at Hotel Vagabond. "I lived rent-free, got a stipend for food, a salary and a great opportunity to try out new aspects of my work on the hotel guests." Hotel guest Stephanie Wirth had no idea when she checked in at The Betsy that there was an artist-in-residence, but she was thrilled when she found out. "I just wanted to see the Writer's Room. When I did finally get a look, it was so perfect, I just wished – not just to meet the artist-in-residence – but maybe sit in that room and write a verse or two myself." 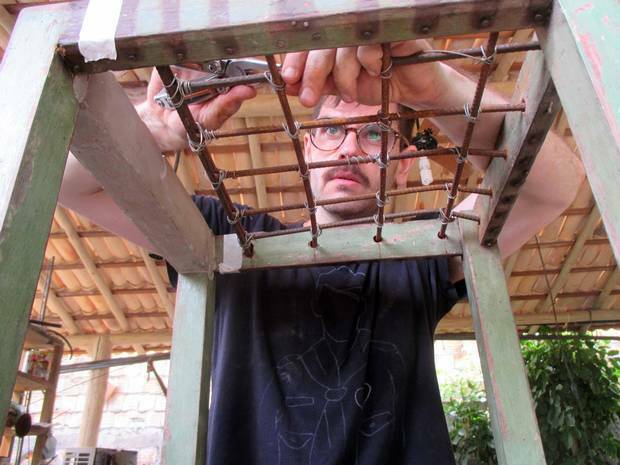 Brazil-based designer Rodrigo Almeida participated in the Artist in Casa program at UXUA Casa Hotel & Spa in Brazil. The writer was a guest of the Vagabond and the Betsy. The properties did not review or approve this article.